Political correctness (PC) is destroying our country. Inch by inch it slithers its way into every area of our lives. Now, it has its eye on American sports and particularly Washington D.C. 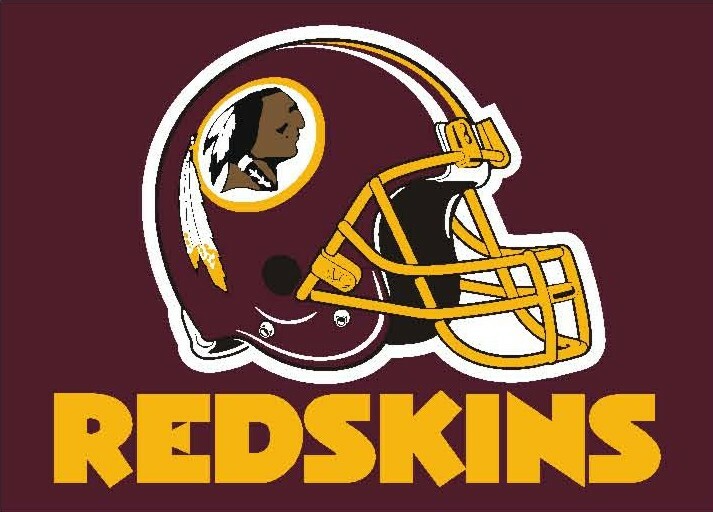 In a town where cut-throats and back stabbers are common, the politically correct, and their made up controversy, are trying to scalp the nickname from Washington’s NFL team. In July, Hillary “What does it even matter” Clinton declared the name “offensive”. I guess Washington’s team name matters more and is more offensive than the death of four Americans in Benghazi, but I digress. Super Bowl MVP Phil Simms and former Super Bowl winning coach Tony Dungy have announced they would not refer to Washington’s team name during their broadcasts of NFL games on CBS and NBC, respectively. I love Dungy, his beliefs and have his books but cannot be on this team with him. Here are some other controversial names they might want to consider deleting from their on-air vocabulary this season. Aren’t the Giants offensive to the big and tall of the world? They can’t hide behind anything. What about the “terrorist” names like Raiders, Buccaneers and Vikings? Those pillagers have surely turned the hearts and sensitivities of many a child over the last five decades. I would guess the Saints are offensive to all the sinners out there. The Browns are the only team named for a color. How does that make the other crayons in the Crayola box feel? Eagles, Falcons, Seahawks, and Cardinals create the NFL’s flock while the poor Turkey is presented as a meal on the Thanksgiving Day telecast. Talk about insensitive! I want to thank you for your service. Thank you for putting your life on the line each day for my family and me…for people you will never know. Whether you have served in combat or not, the simple act of putting on the uniform each day means you made the choice to sacrifice yourselves for all of us out here. And that is extremely humbling. There are two things I know very well. First, my eternal freedom is secure because of JESUS CHRIST and HIS sacrifice on the cross. Second, the freedoms I enjoy daily in America come from men and women, like you, that the LORD has blessed our country with. From the time my feet hit the floor until my head hits the pillow, “I can’t be me without you.” In our house, our children know that truth very well. The United States Military is America’s first line of defense – whether it is on home or foreign soil. These days, you are far too often forgotten rather than cared for…taken for granted instead of honored…used by politicians for political and personal gain. Treated like afterthoughts, not the heroes you are! Historically viewed by the world as the land of opportunity, the only word starting with an “O” that relates to America these days is obamaland. 92 million people in “the land of the free and home of the brave” are jobless. It is truly hard to fathom. That “o” might as well be a zero. There never has been nor will be a “laser-like focus” on creating jobs…unless they are government positions. A socialist wouldn’t have it any other way. Five years ago this month, the community organizer made this proclamation with absolutely no intent of letting the private sector thrive. I do not say help because government cannot create jobs. The only way it can “create” is through the use of our money which they take more of by the day. Big government certainly can tear down and has done an excellent job of this since obama was “ready to rule” from day one. Unfortunately, there are many in this disgusting number that have zero hope of things improving. As noted frequently, many of those have given up trying to find a job. They are weary of the daily battle, daily job search that often yields zero leads while compounding the anguish of a growing low self-esteem. Sadly, too, many have also chosen to live off the few who are working. Maybe that is “fair” (another column for another day). All of this does a disservice to those who long to work, but can find nothing. Let’s put 92 million into perspective. Internationally, the population of Canada (35 million), the Netherlands (17 million), Belgium (11 million), Sweden (9 million), Finland (5 million), Norway (5 million), Ireland (5 million) and New Zealand (5 million) would equal our jobless total. Obama’s “fundamental transformation” would completely shut down eight countries. At home, 92 million of our fellow citizens would equal the states of: California (38 million), Texas (26 million), Florida (19 million) and Georgia (9 million). That is a staggering thought. If each person counted above was in the job force, then four of America’s key economic states would cease to function. Ceasing to function is currently what is happening to our economy and 92 million Americans can attest to it.